It’s often interesting to discover the roots of a musician, and frequently surprising to learn of unusual inspirations they draw from. The Folk Meets Jazz event at Newcastle’s Globe on Saturday 22nd November aims to showcase some of the North’s finest folk musicians and encourage them to explore the role of jazz in their music. 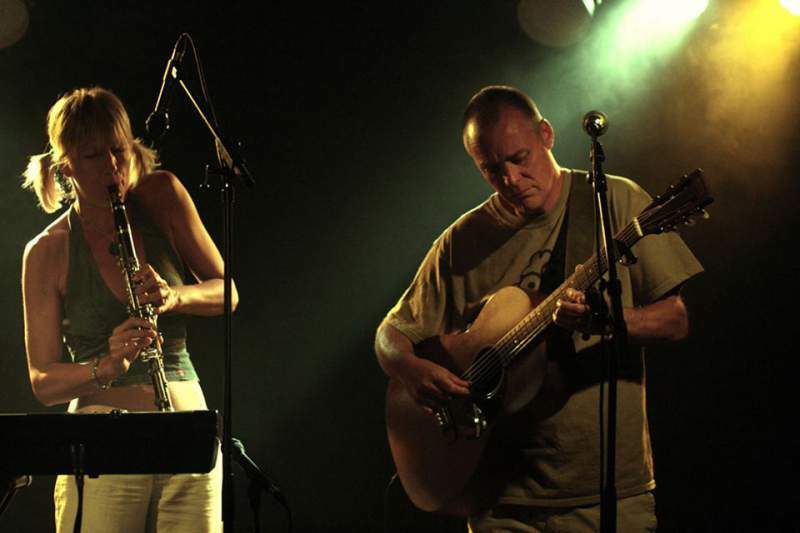 Presented by the Jazz Co-op, the gig will feature Landermason, the combined talents of singer/multi-instrumentalist Fiona Lander (piano, saxophones, clarinet & whistles) and finger style guitarist/singer Paul Mason. Their original material is interspersed with arrangements of traditional and jazz classics. Also appearing will be Andy May (Northumbrian pipes, piano) and Ian Stephenson (guitar, double bass) who explore traditional and original tunes, often improvising like jazz musicians. Andy May’s tenure with well-known folk band Jez Lowe And The Bad Pennies and folk/jazz/funk fusion band Baltic Crossing lends him a high musical pedigree, while Ian Stephenson’s rise in the folk scene since winning the BBC Young Folk Award back in 1999 led to two albums with Kathryn Tickell Band and an appearance on multi-platinum pop album Will Martin’s New World. More than just a gig then, this thought-provoking evening will feature virtuoso folk musicians who successfully borrow themes and inspiration from jazz and world music to create something utterly unique. Landermason, Andy May and Ian Stephenson play The Globe, Newcastle on Saturday 22nd November.